Finding the dentist who is right for you is key to establishing and preserving excellent oral health. It’s a mistake to pick a practitioner out of the phone book or choose one solely based on insurance coverage. The search for the right dentist might take some time and some effort. But the results—better health and progress toward the perfect smile—make it all worthwhile. The best way to find a good, reputable general dentist is by referral from a friend or family member. If you’re seeking a specialist, try your family dentist for the best referral. But what if you don’t have a regular dentist? Perhaps you’ve moved recently to a new neighborhood, your prior practitioner has retired, or like many Americans, you’ve simply put off going to the dentist for so long that you realize you don’t have a dentist. Of course, it’s possible that you don’t fall into any of these categories. It’s conceivable that you have a skilled dentist committed to his or her patients and that you are delighted with the quality of care he or she provides. Of course, in that case, don’t recommend that you blithely switch practitioners simply for the sake of change. Whether you’re satisfied with your current dentist, reading this article should raise some interesting questions for you to consider. You may realize that your current dentist is the best choice for you. Conversely, you might decide it’s time to do some research and find the dentist who’s best equipped to help you with your present needs. It’s important to mention that individual preferences play a large part in what is, in the end, a personal choice. The dentist who has treated your neighbor for twenty years and “walks on water” as far as your neighbor is concerned might be wrong for you. It isn’t necessarily a question of competence, but one of style, interpersonal dynamics, and relevance for particular health needs. Nevertheless, asking your neighbor for a referral is an ideal place to start your search. After all, a fine dentist will create great word of mouth. You might also ask for referrals from others who have steered you right in the past. Consider consulting coworkers, cousins, your pastor, your gym workout buddy, your fellow fire department volunteers—anyone whose judgment you trust and who lives or works within a reasonable distance of the dentist’s office. Finally, surfing the internet will introduce you to a myriad of dental sites and directories. These sites offer information on various dental procedures as well as lists of local dentists. Remember to examine specific qualifications like special experience and teaching appointments—and don’t forget to consider how convenient the dentist’s location is to your home or work. When you ask for a referral, ask some or all the following questions. • How long have you been treated by Dr. Houston Dentist? • How did you learn about Dr. Houston Dentist? • Is insurance coverage your main consideration? 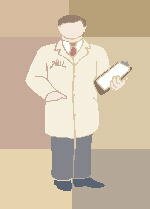 • How helpful are the hygienist and other office personnel? • Why did you change from your previous dentist? • How long does it take to get an appointment with Dr. Houston Dentist? • What is Dr. Houston Dentist’s best quality as a dentist? • What, if anything, about Dr. Houston Dentist’s practice annoys you? These questions all call for subjective answers, and that’s the point. Your neighbor’s criteria might be (and probably are) different from yours. For example, insurance coverage may factor heavily in some people’s decisions, whereas others might have particular health needs or scheduling needs to consider. Speak with people you trust and you’ll quickly see just how subjective the entire process truly is.